The Black Hollywood File: GEORGE TILLMAN READY TO SIGN ON TO "FASTER"
GEORGE TILLMAN READY TO SIGN ON TO "FASTER"
George Tillman is in final negotiations to helm "Faster," a Dwayne "The Rock" Johnson starring revenge drama. CBS Films and Sony Pictures Worldwide Acquisitions Group are co-producing the pic. "Faster" centers on Johnson, an ex-con named Driver who seeks to avenge the death of his brother in a bothcd heist fifteen years earlier. He winds up hunting down those responsible for his brother's death even as he's pursued by several men bent on killing him. CBS and Sony aim to begin shooting in January. 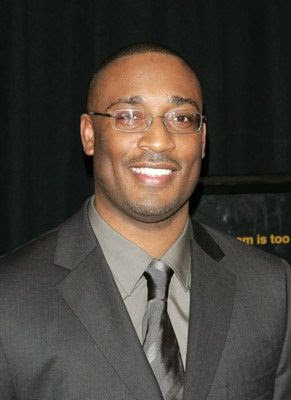 Tillman is best known for his super successful film "Soul Food" and he most recently directed rap biopic "Notorious," which Fox Searchlight released to the tune of $37 million in box office earlier this year. Labels: GEORGE TILLMAN READY TO SIGN ON TO "FASTER"